The SPC has removed the Moderate risk area from Kentucky and Tennessee after storms moved out of that area. 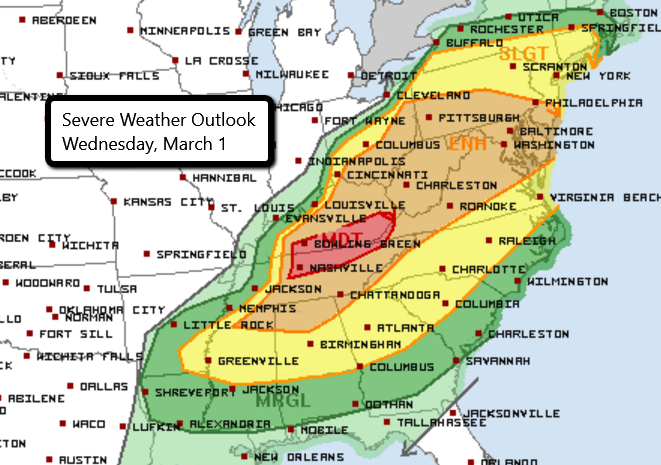 Severe weather is expected to continue this afternoon in parts of the Mid Atlantic and possibly southern New England. 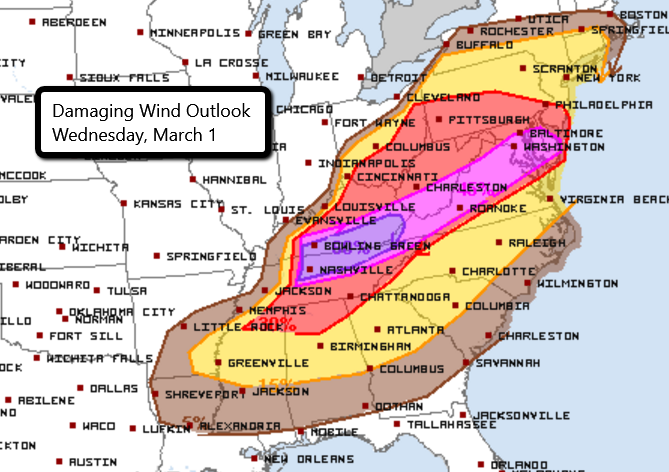 Damaging wind gusts continue to be the primary threat. Destructive and deadly storms ripped through parts of the central Mississippi River Valley and Ohio Valley yesterday and, unfortunately, another rough day is ahead for parts of the eastern U.S.. There is a MODERATE risk of severe weather for parts of southern Kentucky and northern Tennessee. This includes Nashville, TN and Bowling Green, KY.
An Enhanced risk of severe weather exists from Mississippi and Alabama into Pennsylvania and New Jersey. Some major cities in this area include Philly, Baltimore, D.C., Pittsburgh, and Lexington, KY. This is a very large area where widespread severe weather is expected. The main concern with today’s storms will continue to be the risk for strong winds that could produce significant damage. 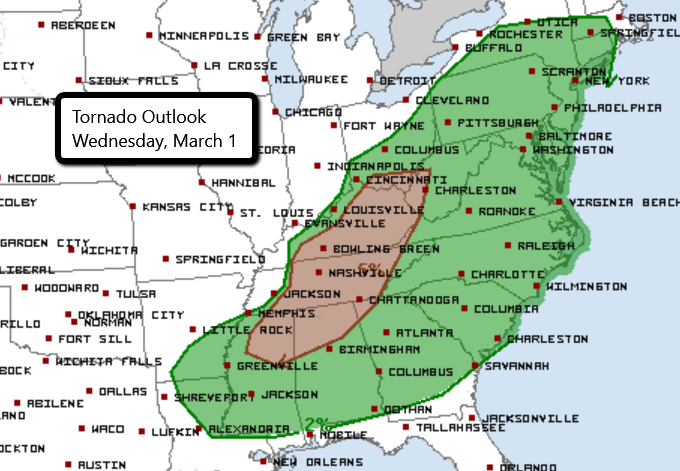 There is also a concern for isolated tornadoes. Stay tuned to Twitter for the latest updates. Follow storm chasers in the field by watching live streams here.